Scribbles from the back pages. Youth culture, in its short history, has accepted few lasting icons, but the vinyl record is undoubtedly one of them. The unmistakable crackle of the needle coming down; the loaded silence, like a drawn-in breath, before the first note: this is the siren song of the teen age, the call to find yourself, by whatever means necessary. And it has remained so, despite its having been long outmoded. For me, I think the fascination with vinyl largely comes from movies. From William’s sister’s proclamation in 2000’s Almost Famous that “This song explains why I’m leaving home to become a stewardess”, to smitten zombie R bonding with his human captive-slash-love-interest Julie in 2013’s Warm Bodies, the message is clear: vinyls were damn cool in the seventies, and their damn coolness will definitely survive the apocalypse. But this fascination does not end with (spoiler alert) audiophile zombies finding love and becoming human again: vinyl sales were up 52% in 2014, with much of that surge coming from the under-25s age bracket. 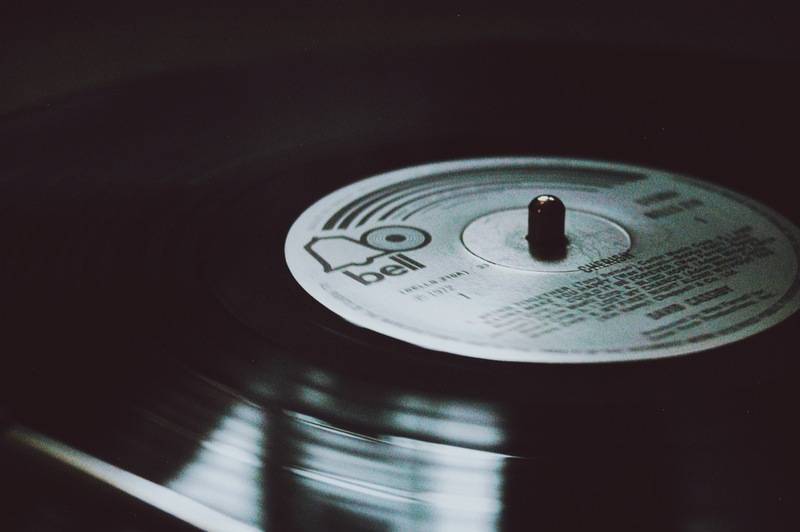 The demand for new records is reaching fever pitch, so high that it’s putting a threatening strain on the industry, and becoming known among bewildered observers as the “vinyl revolution”. But there’s something else about vinyl too, not entirely unrelated to its physical-ness compared to the download. 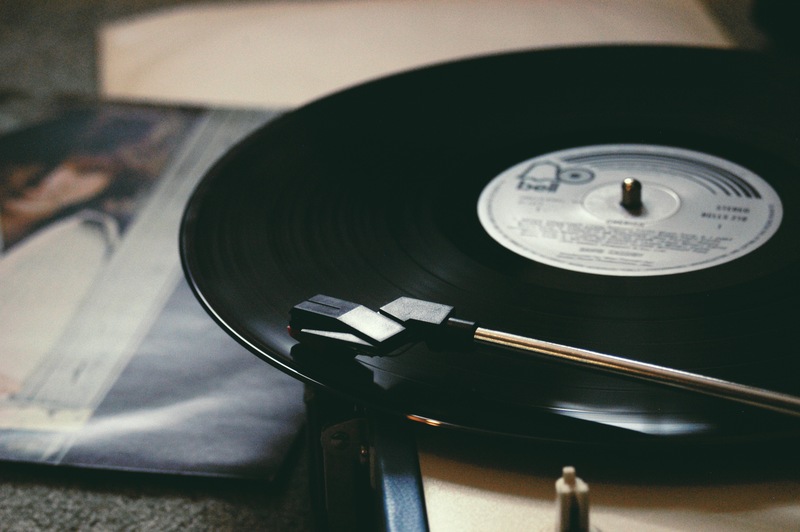 There’s an almost religious feeling to playing vinyl: entering into the vinyl mystique, a willing believer, carefully drawing the disc out of its sleeve before laying it on the altar to be traced by the needle. That’s a pretty dramatic rendering, but it’s not totally unfounded: Dominik Bartmanski, a sociologist at the Technical University of Berlin, put it to CNN that “Digital music […] is now a standard and thus routine way of consuming music on everyday basis. Analogue music requires more elaborate ritualized attention. 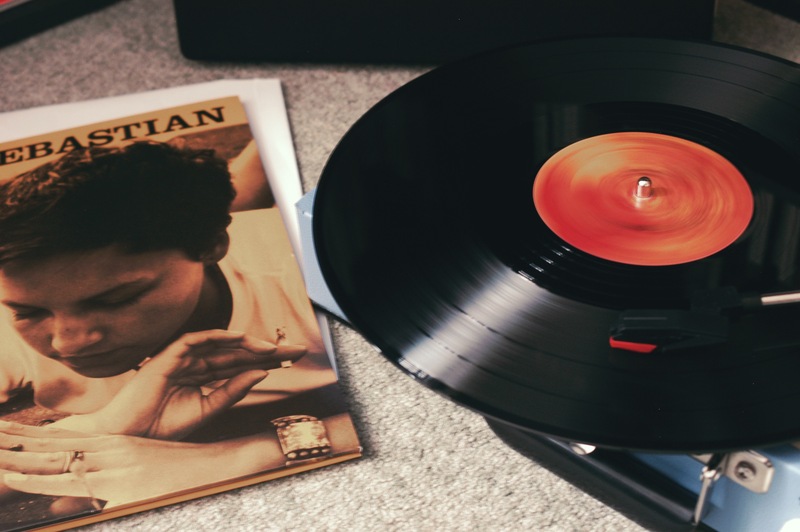 It is routine vs ritual.” Listening to music on vinyl is ultimately an act of confirmation: of your own love, of the realness of the thing you love, and your dedication, over and over again, to its preservation and reconfirmation over time. Perhaps that’s partly why the vinyl has been such a staple of teenage Hollywood fantasy for such a long time – isn’t this ritual the most quintessentially teenage thing? Nowadays, “fangirl” is a dirty word, but the rawness of teenage enthusiasm is what makes it so beautiful, and so easy to miss once you’ve grown out of it. That feeling of loving an album so much that you don’t just want to carry it around in your pocket, but to come home to it, to really own it, in its most beautiful, multisensory, and enduring form. To me, nothing drives this home quite as much as listening to my mum’s records. Dug out of the garage a few days ago and dumped into my arms, they are the remnants of a time it is otherwise hard for me to conceptualise properly. Before my mother was my mother – before I was anything at all – she was an excited fourteen-year-old running home to listen to her new David Cassidy record. I superimpose the memory of my teenage enthusiasm for All Time Low and Scouting For Girls onto the cover of Cherish and feel a strange companionship. It’s a similar feeling to when I stood beneath pealing bells in Florence last summer, the city she’d insisted I go to, in the shadow of the beautiful cathedral, watching the thriving life of the piazza. There was a familiarity to the smallness I felt beneath that tolling colossus, a familiarity that had nothing to do with me and everything to do with that sense of my mother, much younger, larger than life and looking up. It’s a feeling of proximity, of hidden similarity: companionship across time. Watching the first record she ever bought revolve on my record player elicits a similar kind of warmth. Entering the next stage of my life, the scariness of my twenties, feels like a welcome moment to feel this kind of connection. In a lot of ways, vinyl coming to my attention now is very opportune. Its steadiness, its realness, its requirement of a love for and focus on what you’re doing right now, feels good for me. It’s a way to connect with the teenager just departed, a girl who cried when she met her favourite band and saw her favourite songs performed live. I see her in my mum’s records, and at the same time I see a vague ghost of the future, in the refusal of these records to ever really go away. There’s a sense of continuum to co-opting this classically teenage medium at the start of my twenties. The sense that, while there are new routines in store that may be daunting, and old rituals (like getting tearful over musicians with elaborate fringes) may be done with, I will find new rituals, and finding these new rituals doesn’t have to mean never looking back.